As a mother of 2 teenage boys I remember the days when they were younger and the fun that we had and still do. I Loved doing activities with my boys that had a bit of a learning curve or was educational. It can get very expensive to buy experiment type projects or toys from the store. But there is so many things you can do at home with your kids today. 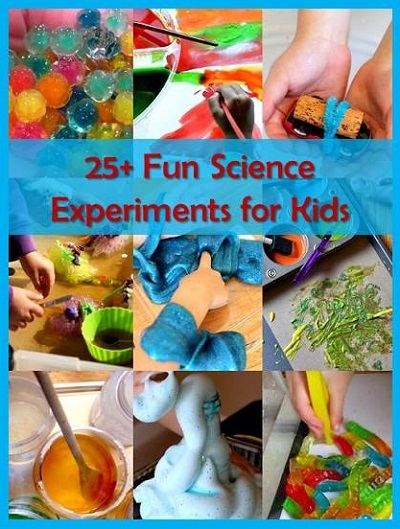 Here is a fantastic roundup on 25+ Fun Science Experiments for Kids. Have a look through this list and I am sure you will find something fun and awe inspiring to do with your children today.